Frederick Douglass Blvd at sunset on spring. Frederick Douglass Blvd is one of the main streets of Harlem. 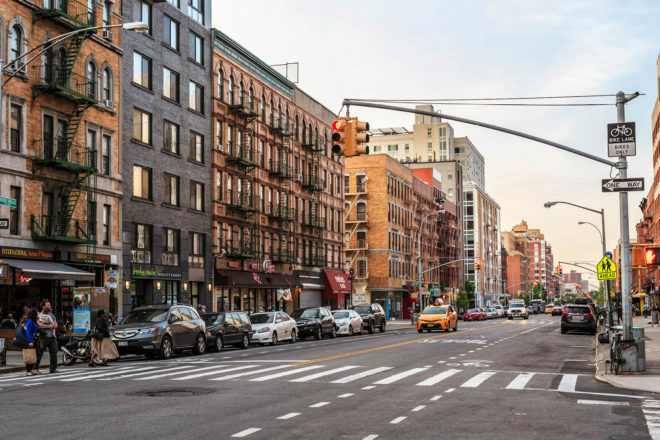 From Morningside Heights to a walking tour through Harlem, Upper Manhattan marches to the beat of its own drum, writes Kristie Hayden. It’s no secret that one of the best modes for discovering New York City is by foot. All senses are alive as you see the faces of the city up close, feel the lay of the land, hear the many levels of its song and taste the local cuisine. To explore the urban neighbourhoods with a New York native not only puts the story of the place in context, it leaves you with a greater appreciation for the cosmopolitan city that so clearly exists in all tenses; past, present and future. A recent documentary about Bruno Mars trotting the blocks of Harlem to meet and jam with locals inspired me to visit this working class community, albeit with zero musical talent. 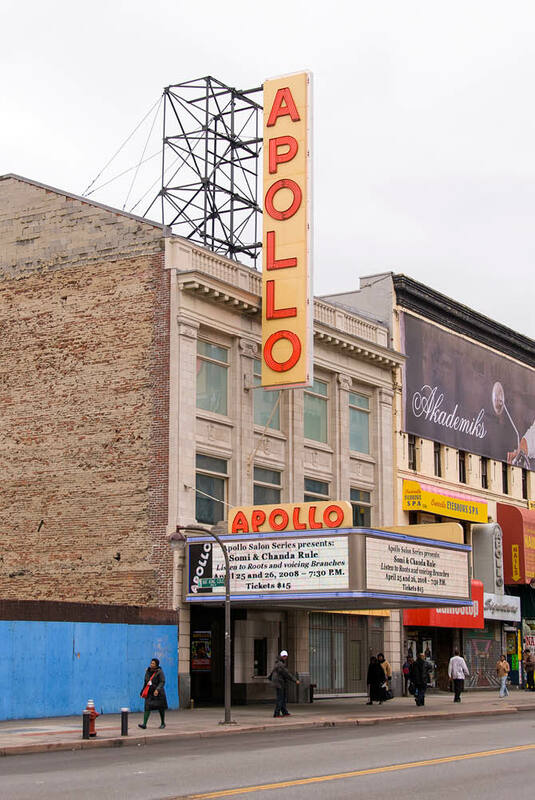 While Bruno’s day ended with a free concert at Harlem’s famed Apollo Theatre, mine gave me the lowdown of these colourful streets thanks to my walking guide. Shawn went beyond the cookie-cutter tour experience to immerse me in the story that shaped the pointy end of an otherwise affluent New York borough. Far from the busyness south of Central Park, Harlem life feels slower, more suburban and more communal. In the early 19th century, more than half of New York’s population was foreign-born. Churches sought to unify communities, finding common ground between cultures and politics with gospel. In the early 20th century, St. Philip’s Episcopal Church on West 134th Street became one of the first of Harlem’s churches to purposefully attract African-Americans to its congregation. 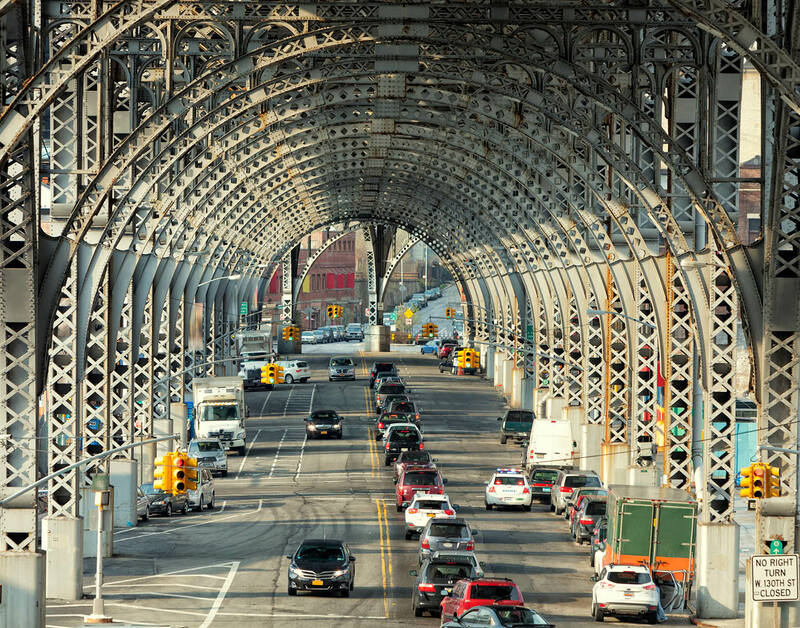 Traffic under Riverside Drive Viaduct, HarlemStrivers’ Row, formally designated the St. Nicholas Historic District, is a leafy neighbourhood on 138th and 139th Streets. The Neo-Italian and Georgian townhouses sit back to back in rows and are adorned with elegant rod-iron gates and, unusually for New York, rear laneways, courtyards and spacious parking. First populated at the turn of the 20th century, the neighbourhood was a white enclave for many years however, since the 1920s, young black professionals, lured largely by the gospel community and Harlem’s affordability, have owned the elegant houses. Next, the historic Astor Row, on West 130th Street, reveals 28 semi-detached row houses dating back to 1883. Flanked by verdant trees and colourful gardens, the neighbourhood was neglected for much of the 20th century. 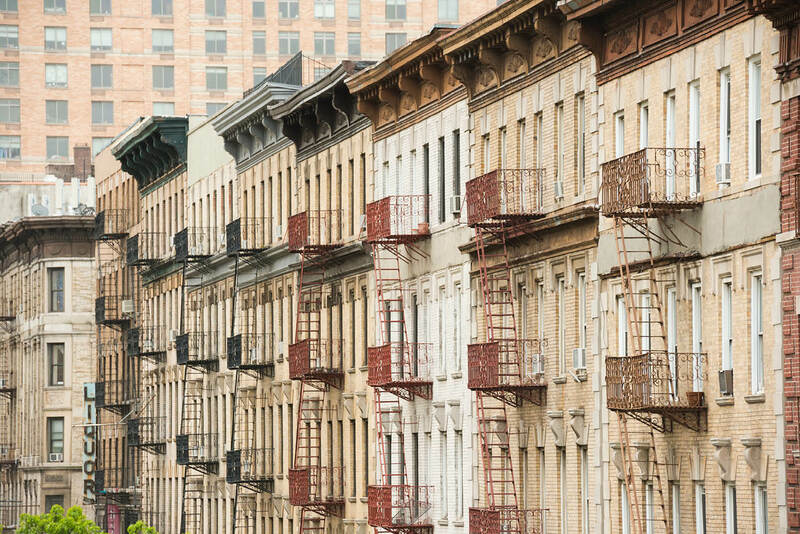 In 1981, the houses were designated a New York City landmark and the community raised money to restore their facades, their rotting wooden porches and their utilities. In 1992, Ella Fitzgerald performed a benefit at Radio City Music Hall to help fund the restoration. Harlem’s western edge, bordered by the Hudson River, is home to Columbia College in Morningside Heights and neighbouring public City College in Hamilton Heights. This is the academic corner of Manhattan’s north. Founded as King’s College in 1754, Columbia College is one of eight distinguished Ivy League colleges in the eastern United States. While their heritage buildings are blanketed in ivy, the universities’ cultures exude academic excellence and, often, social elitism. As we wandered past the original Columbia library, I imagined Barack Obama throwing his hat in the air after graduation. I also considered the first women to graduate, as 1983 saw Columbia become the last Ivy League school to admit women 229 years after its founding. And another important note, the cafeteria served the best latte I’d had since landing at JFK. 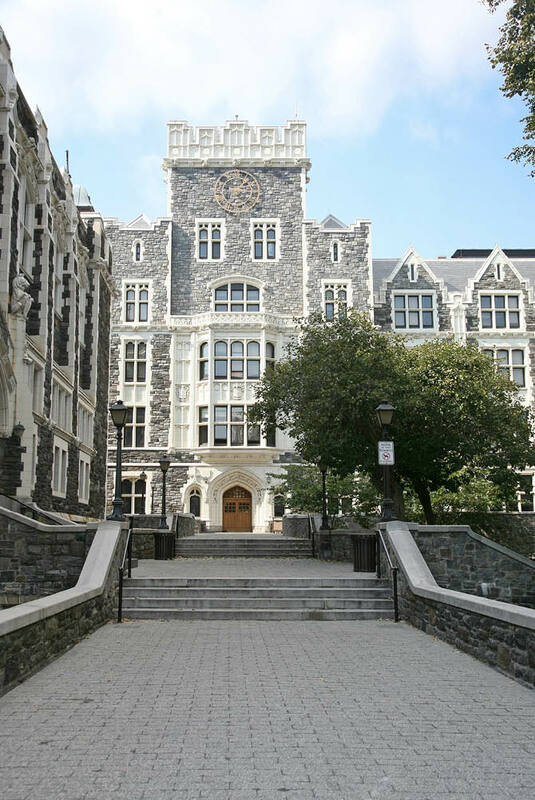 CCNY is the first and oldest campus of the New York City public university systemDown the road, City College, established in 1847 as The Free Academy, aimed to provide access to children of immigrants and the working class based solely on academic merit. The school’s first president exclaimed, “The experiment is to be tried, whether the children of the people, the children of the whole people, can be educated; and whether an institution of the highest grade, can be successfully controlled by the popular will, not by the privileged few.” In 1907, the college moved to its current location in the heart of Harlem. Once dubbed the poor man’s Harvard, the school has produced 10 Nobel Prize winners. A successful democratic ‘experiment’ to say the least. Built almost entirely from Manhattan schist rock and set on 36 tree-lined acres, the Neo-Gothic city campus is one of the most unique properties in New York. Schist, the most prevalent bedrock in Manhattan, has a glittering appearance caused by flecks of white mica within the rock. Due to its strength, naturally occurring schist anchors New York’s highest sky scrapers. During Bill Clinton’s presidential tenure from 1993 to 2001, his administration was a great supporter of Harlem. In 2008, the Clinton Foundation, whose office remained in Harlem until 2011, provided grants to attract businesses to the area, building on Clinton’s long-term commitment to help the community to achieve greater levels of progress and prosperity. The Harlem Restaurant Program sought to revitalise the hospitality industry, attract more tourism and improve the quality of life for its residents. Today, the restaurant scene is a thriving illustration of Harlem’s multicultural heritage. Many restaurant precincts across the neighbourhoods give off a new-generation vibe thanks to affordability for young entrepreneurs to set up shop. Famous restaurants like the Red Rooster in one of Harlem’s liveliest neighbourhoods, and those along 116th Street’s Restaurant Row, have become drawcards for tourists from across the globe in recent years. Yet Shawn draws me to lesser-known establishments. Lenox Fish Market and BLVD Bistro NY, on Malcolm X Boulevard will have you eating soul food like a local. And Accra, on Adam Clayton Powell Jr Boulevard epitomises West African cuisine. Bill’s Place on 133rd Street, dubbed Speakeasy Row. An intimate club launched by Harlem native and legendary saxophonist Bill Saxton. Ginny’s Supper Club and MIST Harlem for live music and performances and Ashford & Simpson’s for open mic nights. Amateur Night at the Apollo to see the stars of tomorrow. 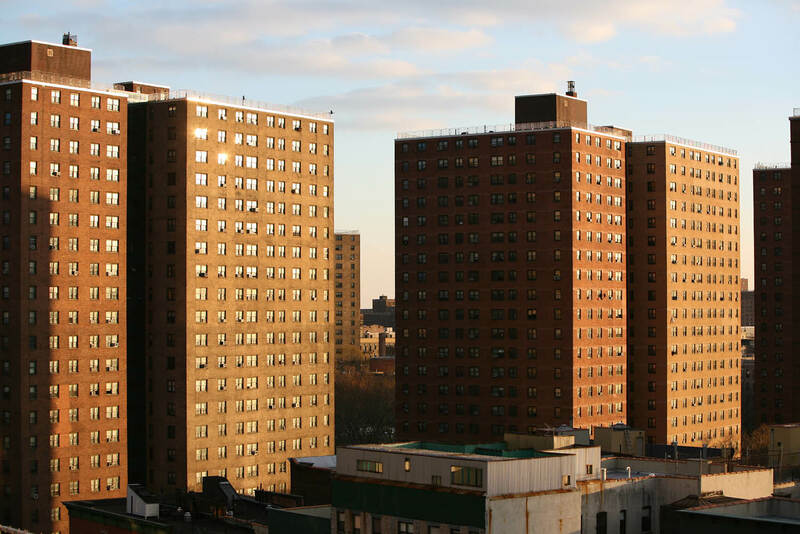 Harlem is located on the northern end of the New York borough of Manhattan, approximately 30 kilometres north-west of John F Kennedy International Airport. For walking tours of Harlem, visit www.realnewyorktours.com.